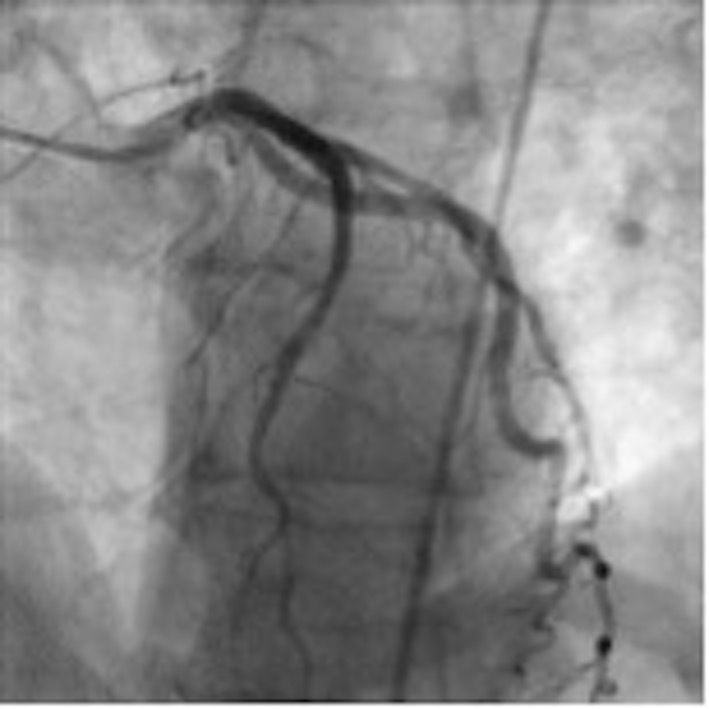 Coronary angiography is performed at H5, through right transradial approach. A 6 Fr EBU 3.5 guiding catheter is used. Ad hoc PCI is decided. Initial attempt to cross the lesion with BMW wire failed, leading to the use of stiffer wires. Unfortunately, an iatrogenic dissection of left main and ostial is observed on control angiography. Thus, a different strategy is decided: JL 3.5 guiding catheter and softer wire that is poked in the distal LAD with difficulty. The analysis confirms that the wire was in correct position in distal LAD. 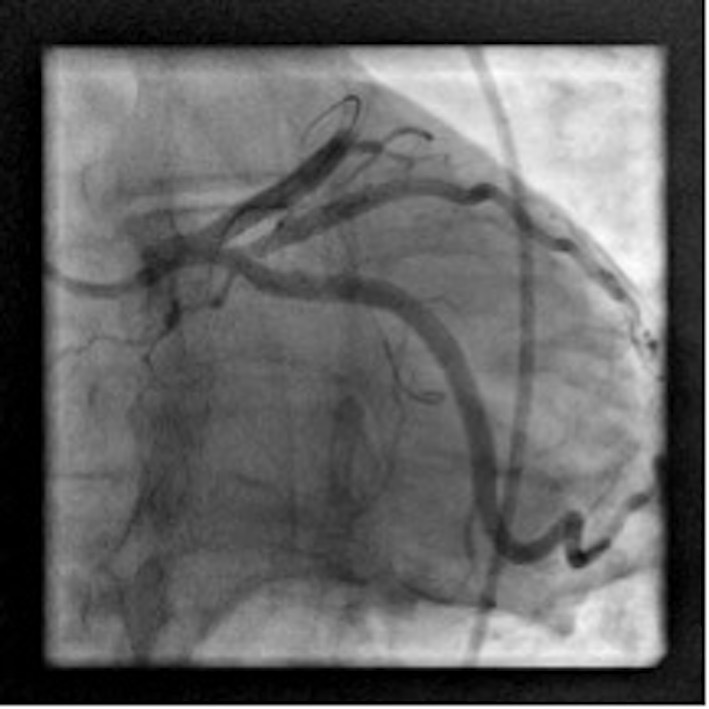 Thus, proximal and mid-LAD PCI are subsequently performed with 3.5×18 mm and 3.0 x 18 mm EES. and a new OFDI run is decided. 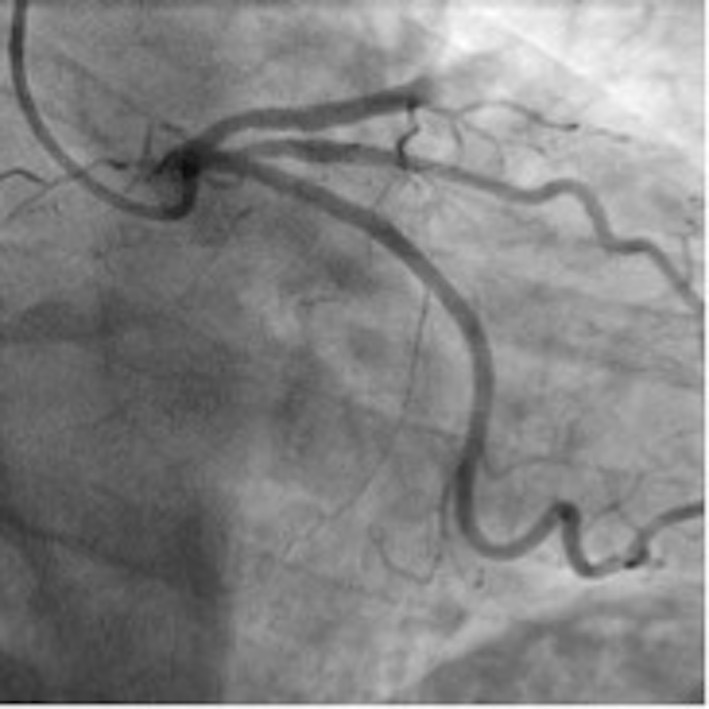 It confirms that the wire is still in the true lumen and an additional PCI is decided in the distal part of the mid-LAD. The clinical evolution was good with no residual chest pain, CPK peak=400 IU/ml and LVEF=55% at discharge. Subsequent control is scheduled one month after the initial procedure. 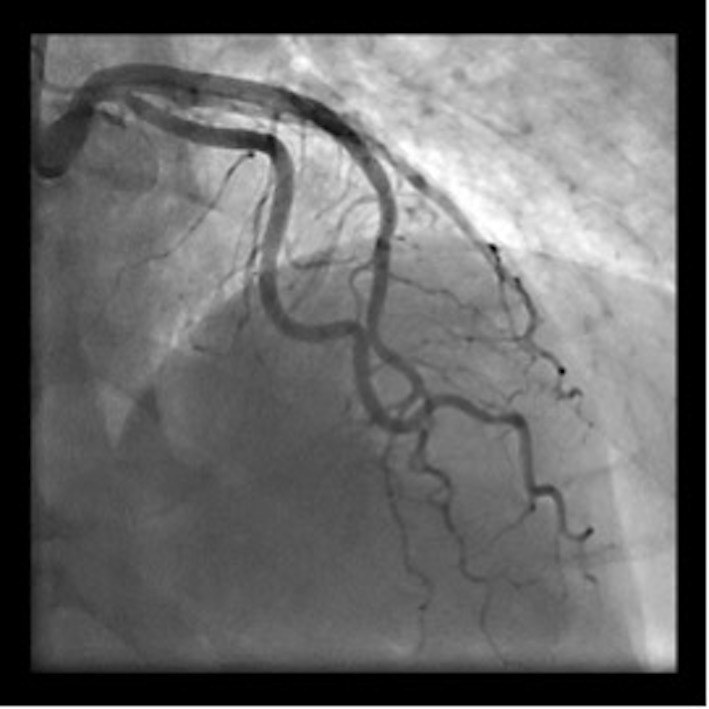 shows significant struts malappositions that are treated with non-compliant balloon post dilations. 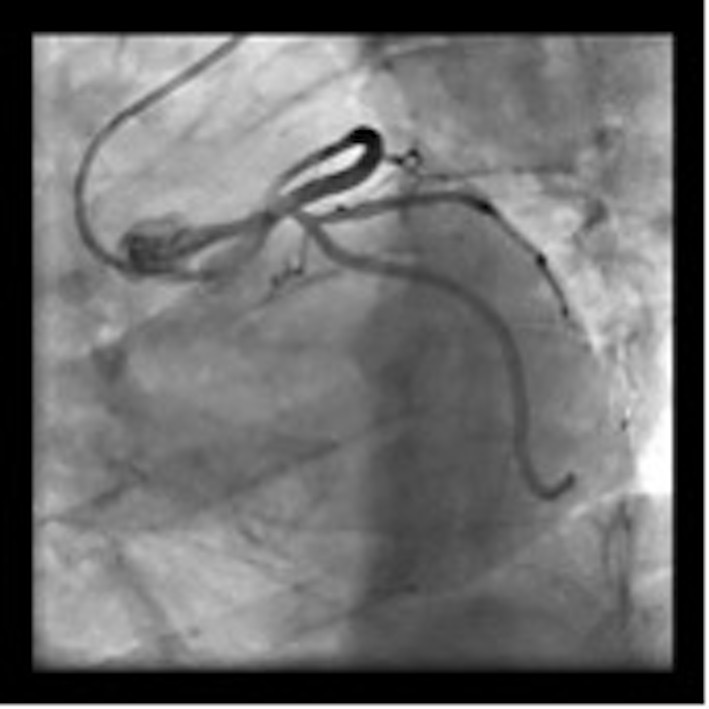 Iatrogenic dissection during primary PCI procedure are unusual and are very challenging.